The secret is to embrace the shady areas in your landscapes. Stop trying to wish sun-loving plants into growing in shade; there are plenty of shade tolerant plants that will thrive in these areas. And I’m not just talking about hostas. Don’t get me wrong, hostas are great. But they aren’t your only option. In any landscape you need to think about all four seasons. That means evergreens. Both Buxus (boxwood) and Taxus (yews) do well in shade. However, deer like Taxus and they don’t like Buxus. That gives Buxus the edge. 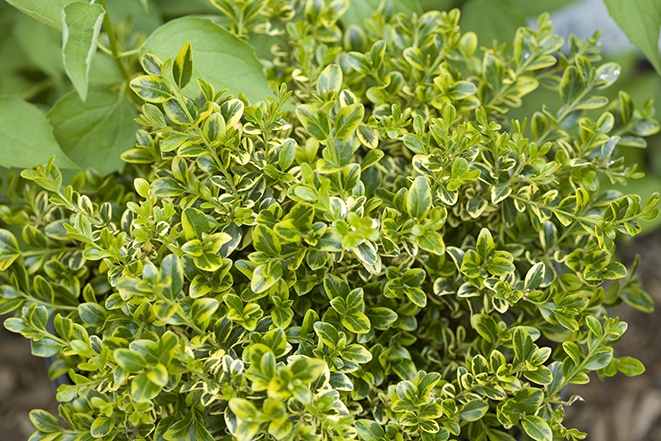 For a sassier take on the sedate boxwood hedge, consider Wedding Ring® Buxus. 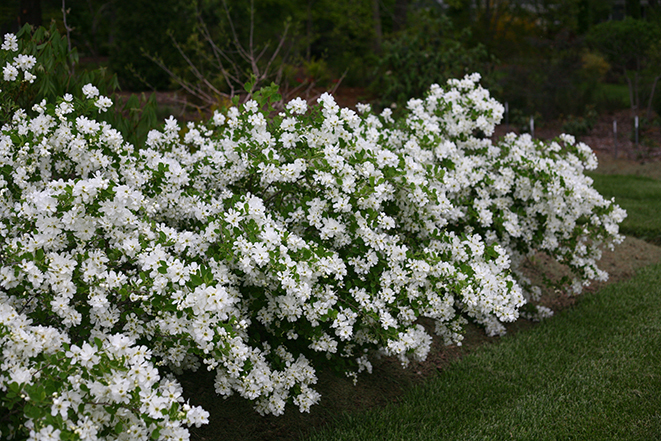 It has lively variegated foliage that would be a real asset to a shady location. 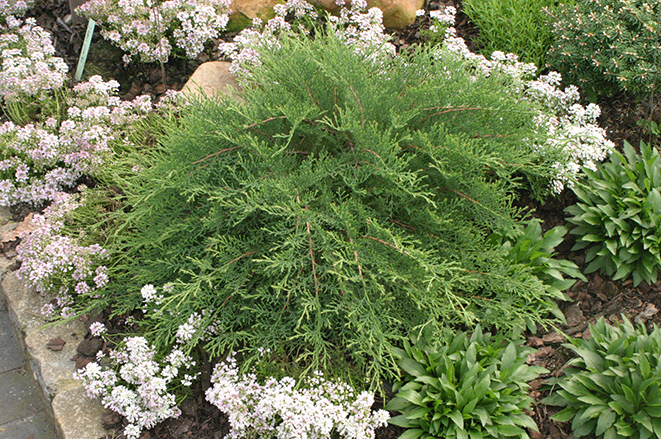 A lesser-known evergreen with good shade tolerance is Microbiota, or Siberian Cypress. As the name suggests, this is a very cold hardy plant. 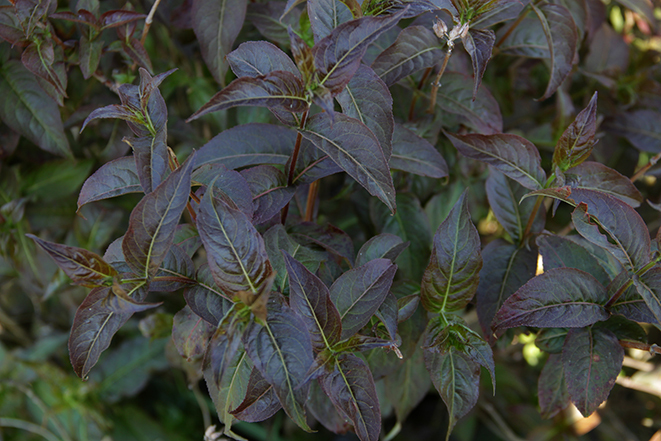 It is low growing, with feathery foliage that turns russet in fall. Celtic Pride™ is our choice for its excellent disease resistance. For more information, visit http://www.beauty.provenwinners.com.